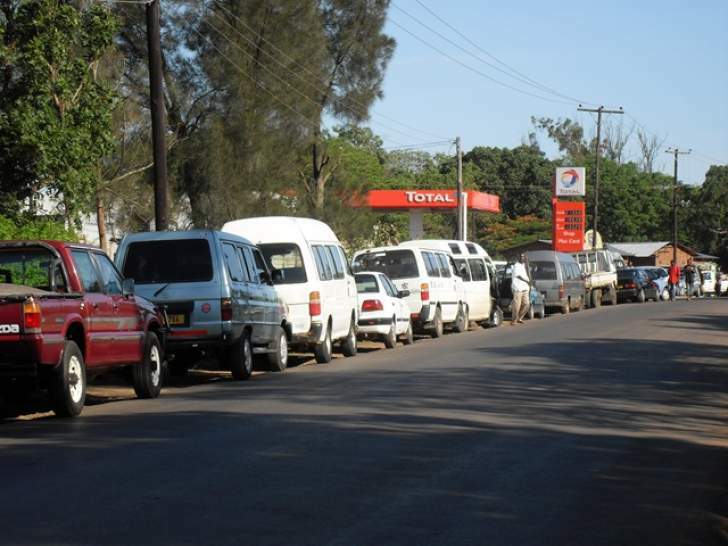 Last month two major reports came out on economic and political reform in Zimbabwe. The first from Chatham House, looking at economic reform and the question of re-engagement by international actors, and the second, from the Institute for Security Studies, looking at similar themes, but focusing more on the political challenges. They come to rather different conclusions. The Chatham House report argues strongly for re-engagement by the West and the International Finance Institutions. 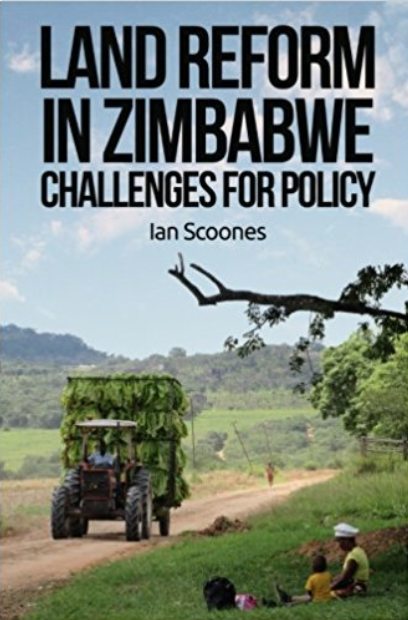 The ISS report is more sceptical, arguing that Zimbabwe’s reforms could be seen more of an exercise in pretence, and may help prop up the regime. We have heard these arguments before. The pragmatists, arguing for engagement with the inevitable response that this is appeasement and those arguing for a major overhaul, but without any clear plan for how. Neither of these reports fall firmly into these stereotypes. These are both written by commentators with deep knowledge of the situation. However, I found the Chatham House report definitely the most convincing. The authors are sanguine about the challenges, but realistic about what needs to be done. Their headline message is that “International and regional governmental engagement does not guarantee the success of long-term reform, but continued isolation will almost certainly lead to the failure of reforms to take hold”. The economic situation is certainly dire. The appreciation of the US dollar has made Zimbabwe’s exports less competitive. Manufacturing has declined yet further, along with the tax base, and so government revenues. This means paying civil servants (83% of public expenditure) is more and more difficult. Attempts to improve liquidity through creating treasury bills, bond notes and the rest have met with protest. Banks have gone bust, cash is in short supply, and hard currency is leaving the country in large amounts as the country becomes the region’s ‘bureau de change’. Continued restrictions by the US government under ZDERA (the Zimbabwe Democracy and Economic Recovery Act of 2001) means currency negotiations with the US Federal Reserve are prevented, and the economy must rely on exports, remittances, foreign investment and credit lines, all of which are under pressure. Confidence is at a low ebb, as political turmoil persists, and this in turn puts off investors, who fear yet more disruption around the next elections, and as a result of any succession battle for the presidency. The Chatham House report lays out the details, with some stark facts and figures (although as ever misrepresenting the data on food security – see recent blogs on this). From liberation to liberalism: what prospects for reform? This is the context that is forcing change. 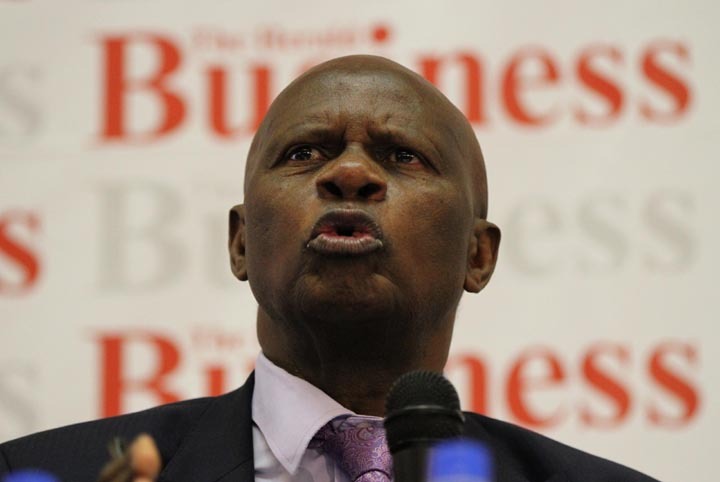 Chinamasa represents what the Chatham House report authors call a “transition from hard-line ‘patriotic liberationism’ to a more pragmatic economic liberalism”. The ISS report agrees that Zimbabwe has “the technical competencies to deliver” but points to the political challenges. The report observes: ”political support has been partial, inconsistent and largely tepid, underscoring a dawning reality that the imperatives of retaining ZANU-PF hegemony, the inevitability of Mugabe leaving office and the related factionalism around succession fundamentally stifle prospects for reform and, by extension, narrow options for engagement”. It goes on: “engagement is selective, policy statements often incoherent and serious questions remain about government’s commitment to deliver”. It concludes pessimistically: “the course appears set for continued economic decline, internecine political machinations and growing potential for violence, resistance and repression”. There are good grounds for such pessimism, but a more rounded examination, as contained in the Chatham House report, shows that there is more going on than many give credit for, and that the political struggles over what reform means are more complex. To date, the government has certainly made important strides towards IFI compliance, under extremely constrained circumstances. This has been focused on the public finances, including reforms of the banking sector, attempts at public wage restraint, parastatal reform and privatization, efforts to inject greater transparency and accountability into the mining sector, and implementation of Constitutional provisions around land compensation and audit. Not all of these interventions have been successful, and there have been popular and political backlashes. Many – rightly – remain cynical. But there has been a surprising energy and commitment. This is about economic, and crucially, political survival. However, as the Chatham House report notes, such reforms are only the beginning. Many international players want to see more. For example, “A deep wage cut across the board, clarity and consistency on indigenization, and the finalization of 99-year leases” will be required, plus “measurable democratic reforms, including the alignment of legislation to the 2013 constitution, abidance to the rule of law and adherence to human rights norms”. This may all be a tall order, particularly in the febrile political atmosphere in the run up to the 2018 elections, meaning many in the international community and the wider opposition will remain unconvinced. Currently Zimbabwe is in a bind. The constraints on both international public and also private investment are stifling any prospect of economic recovery. Many investors suspect that reforms will be affected by party political dynamics. As the Chatham House report observes: “Attempts to attract investors are hampered by the lack of apparent planning for Zimbabwe’s post-Mugabe political leadership, and a prolonged succession battle could be extremely risky, not just for the party, but also for the country”. Despite these qualifications, the Chatham House report is upbeat. It notes: “even in a context of severe economic constraints – and despite some overlaps between party and government issues – the government continues to function, and is supported by a professional, albeit eroded, civil service. There is still an operational distinction between party and government, and the divisions in the party have not fully replicated themselves across the state. Zimbabwe’s institutional capacity is fairly robust. Parliament remains an important nexus for bipartisan debate and scrutiny of elected officials”. These are important observations, and often forgotten (see an earlier blog on persistent bureaucratic professionalism). If technocratic and institutional capacity is not lacking, political incentives for reform often are. Here the Chatham House report again offers a nuanced analysis. It points to two opposing forces, cutting across party lines. First, there are those who have incentives to support reform. This includes many in ZANU-PF and the military who have strong business interests. They are driving the reform agenda, and include many in the upper echelons of the party, as well as new opposition groups (most notably Joice Mujuru and People First). The military-business elite is crucial here, as they may be the ultimate arbiters in the succession battle. With revenues from the Marange diamonds drying up due to new regulations and reforms, and other patronage networks in decline, as the Chatham House report notes, they are likely to be vested heavily in improving the business environment, and so ally strongly with reformers in the party, notably Vice President Emerson Mnangagwa. Others are implacably opposed to reforms, seeing these as an imperialist imposition. There are those in the G40 group within ZANU-PF who make this nationalist-populist argument. According to Chatham House, they are: “sceptical of economic liberalization and re-engagement, particularly with the Bretton Woods institutions, as they fear this will mean the end of ZANU PF’s historical ideological objective to create a de facto one-party socialist state with a ‘captive’ or ‘token’ opposition”. While anyone with a memory of ESAP has a right to be cautious, the need to revive the economy is also apparent to anyone. There are those in the opposition parties, supported especially by diaspora groups, who argue strongly against re-engagement too. But for different reasons. They are relaxed about a liberalisation stance at the centre of reforms and advocate free market approaches, but feel that the international community is letting the regime off the hook. More chaos, more decline, they believe will make the transfer of power easier, at or before the 2018 elections. If the opposition had a vision and an organisational base, such a stance might be credible. But accepting continued suffering for unlikely political gain, is in my view highly irresponsible. “The interests of the ruling party, of the citizens of Zimbabwe and of international stakeholders are not mutually exclusive. There is little doubt that one of the main incentives behind the current government’s apparent commitment to the reform agenda is party survival. But if this means measures to achieve a stronger economy and better livelihoods, there should be tangible improvements in social and economic rights – and maybe, in time, more space for promoting civil and political liberties. Other options have not worked. The opposition, for its part, is in a fractured state, and it is not clear whether any strong alliance will be forged before the next elections”. I agree, which is why a pragmatic if politically-challenging way forward must be found. The Chatham House report certainly offers valuable pointers, if not solutions, and is well worth reading.